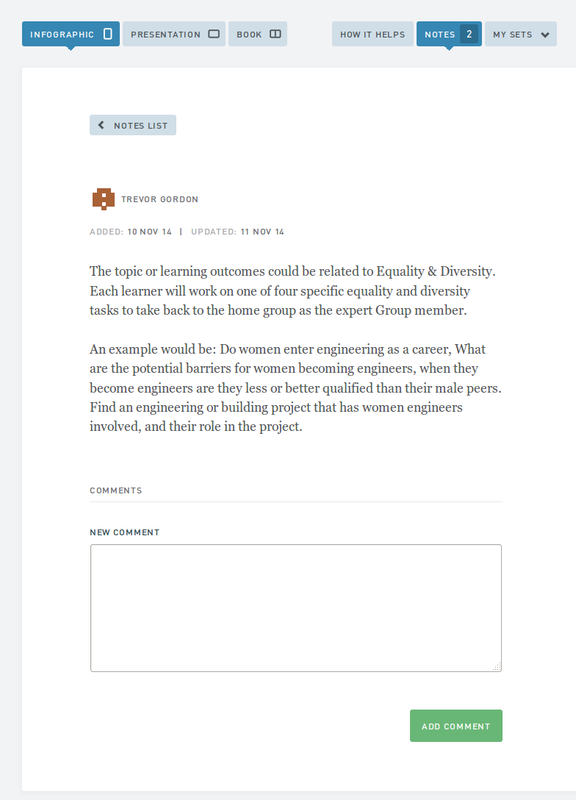 Notes on HOW2s allow you to share comments and questions with your colleagues — great for both quick and long-term collaboration and support. They also provide you with a way to privately record your own thoughts and progress. 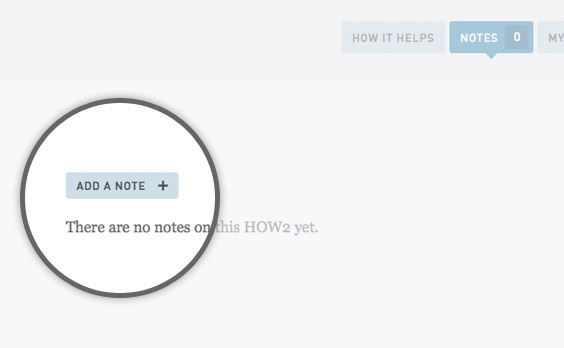 To read or add Notes, first open the ‘Notes’ panel using the button just above the HOW2 viewing area. Do you have a specific task or action in mind? If so, give yourself or others a friendly Nudge. 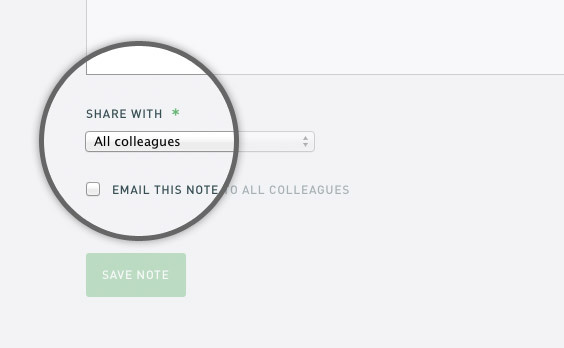 In addition to the main Notes panel and interface, each HOW2 has a ‘Share’ button which simply provides a convenience shortcut to creating a shared Note. The instructions below also apply to this ‘Share’ button. Click the ‘Add a Note’ button. Insert your Note’s text. You can enlarge the text area by dragging its corner down. Set who your Note should be shared with, or keep it private. If you’re working on a draft or have a Note that’s not yet ready to share with colleagues, you can save it as a private Note as many times as you like and subsequently share it when it’s ready. 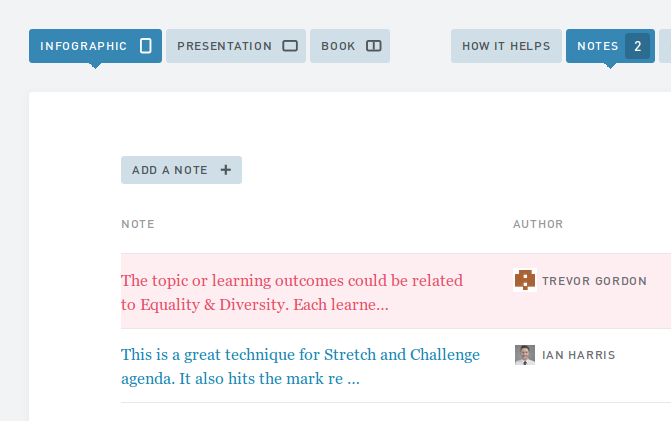 Your Notes and others’ shared Notes are listed in the Notes panel. Click the Note’s preview text to view the Note in full. If you wish to add a comment to the Note, type it into the ‘New comment’ text area and click ‘Add comment’. The Note’s author will be notified of your comment. 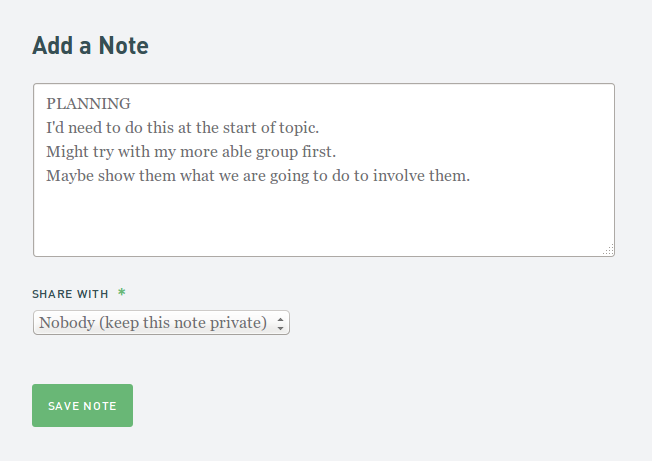 Replying to each others’ comments, you and your colleagues can discuss the Note and HOW2. You can quickly update your Sets on the HOW2 page using the My Sets menu.